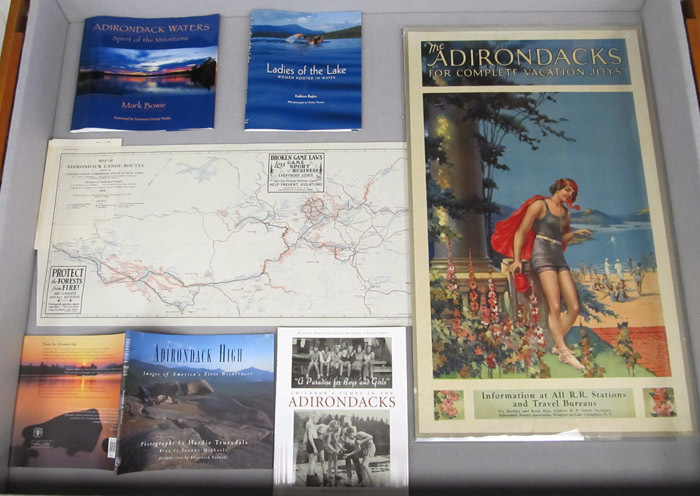 This public floor exhibit in March of 2012 featured some choice Adirondack Mountain items from the Manuscripts & Special Collections unit of the New York State Library, as follows. An early 1900s poster titled "The Adirondacks for Complete Vacation Joys," signed D. C. Lithgow. Seneca Ray Stoddard's 1882 edition of his Map of the Adirondack Wilderness, hand colored. 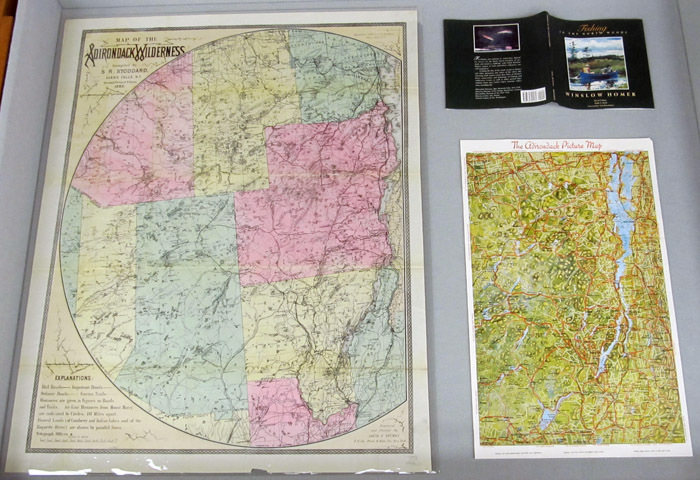 The Adirondack Picture Map (circa 1920), produced by E. A. Knight and printed by the Lake George Printing Co.
Map of Adirondack Canoe Routes, prepared in 1919 by the Conservation Commission, State of New York, Division of Lands and Forests. 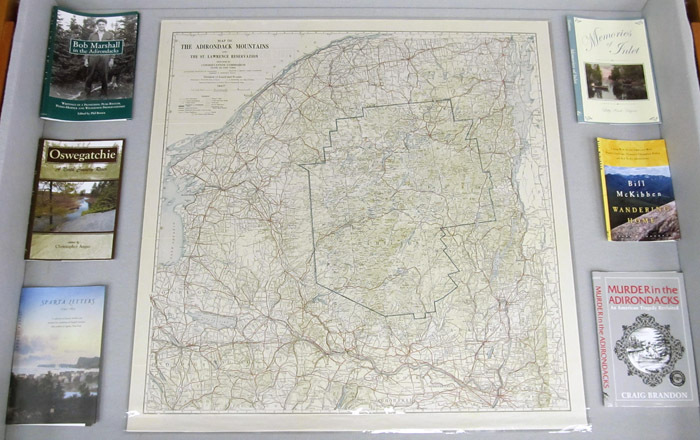 Also from the Commission, Map of the Adirondack Mountains and the St. Lawrence Reservation (1927).